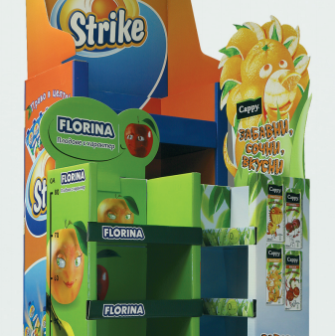 Bivalvia Ltd. produces different types of Cardboard Stands; Advertising Displays and Panels, Show-cards, holders and other products, produced from Corrugated-Cardboard and Cardboard. The Design, form and Dimensions could be developed by the cleint`s prescription and design. 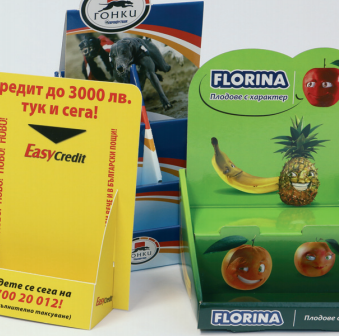 Off course, in addition to every order, there are different options and effets available, like for example: Spot UV varnishing, Lamination, Hot stamping, hot embossing and many other extra finishes.